After years of caring for her ailing father, the Earl of Medwin, the ethereally beautiful young Lady Ancella Winn is pale, drawn and exhausted now that he has died and she is devastated. Worse still, she has nowhere to go, except for the home of her strait-laced and disapproving aunts. So when family friend and doctor, Sir Felix Johnson, suggests that it would be good for her health to travel to the French Riviera to work as the nurse-companion to an ageing Russian Princess, she nervously agrees. Although her new employer is difficult and demanding, Ancella is bewitched, first by the beauty of the Côte d’Azur and then by the Princess’s ineffably handsome son, Prince Vladimer. 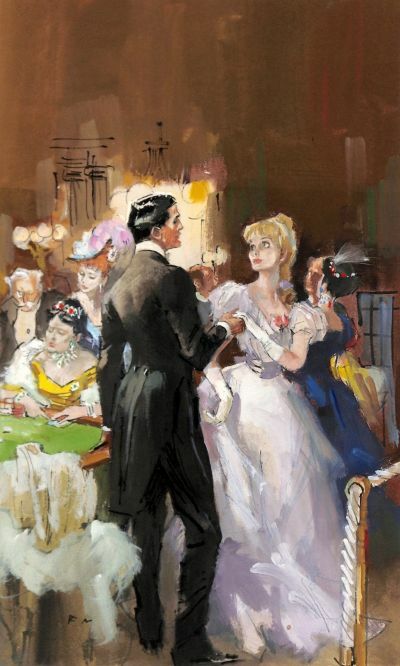 Caught up in the glamour of the Monte Carlo Casino, the den of iniquity against which her aunts had warned her in no uncertain terms, it seems that she has won the Prince’s heart as the feckless aristocrats around her lose fortunes at Roulette and Baccarat. But then to her horror her hopes of the love she has always dreamt about are dashed when it she finds that Prince Vladimer has betrayed her with the grasping but alluring Marchioness of Chiswick.